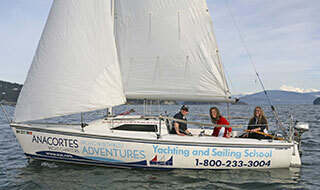 North of the San Juans, protected in the lee of Vancouver Island, lie the Gulf Islands. This is an enchanting group of more than 200 islands and islets whose tranquil waterways and gentle landscape contrast with the ruggedness of the open Pacific Ocean coastline not many miles to the west. This has been described as a place where people can be with people and yet be alone. 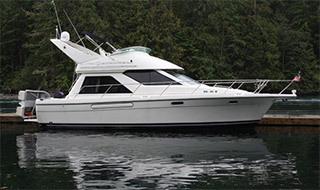 Its many natural charms are complemented by convenient man-made facilities making it a haven for boaters meandering from anchorage to anchorage. As you find your way among these islands, you will gain an appreciation of why so many hail this to be the best cruising in the world. Although the cruise from the San Juans into the Canadian Gulf Islands is an international crossing, the two island groups are virtually connected. Clearing customs is a simple process, making the transition to this second island group quick and easy. Between these two vast island groups, a lifetime of exploration awaits. The following is one of many possible itineraries, but a longtime favorite. 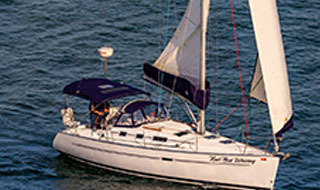 An easy 21 nautical mile cruise from our Anacortes base is the Port of Friday Harbor. This island community has something for everybody in the crew. Consider the whale museum or stroll through town and window shop. 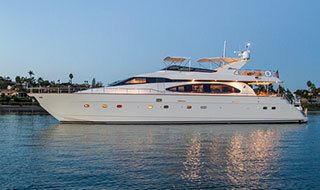 Victoria provides one of yachting's most unique cruising destinations. After clearing Canadian Customs, take "High Tea" at the Empress Hotel, enjoying one of the foremost natural history museums, and soak up the continental flavor. Port Sidney Marina is a delightful surprise. What other marina has flower baskets hanging from every piling? 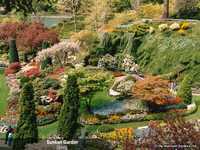 While here, plan to see world famous Butchart Gardens. Poet's Cove, at Bedwell Harbour, is one of the newest favorites to our islands. Let the kids swim in the pool, relax in the luxurious spa, or enjoy the fine dining in this beautiful resort on South Pender Island. The provincial marine park at Montaque Harbour has many mooring buoys in a well protected bay. Don't be surprised to see a masked bandit wandering the woods, raccoons are common residents of the park. Ganges, on Salt Spring Island, is the type of place that even the diehards need to frequent on occasion. Stop for some fresh provisions, a hot shower, pitch the rubbish, send the obligatory postcard and take your first mate out for some Salmon Wellington. Back across the border to Roche Harbor. After clearing through US Customs and Immigration, you can explore this scenic island resort. Smell the flowers in the formal gardens, learn the history of the " Pig War" and enjoy the "colors" ceremony at sunset. The next morning should be an early departure in order to get back to AYC by 10am. On your way back, keep your camera ready, it's your last chance till next cruise to see an Orca.